2016 – Volvo V90 at Rue Pierre-Semard in Rochechouart in Paris, France. 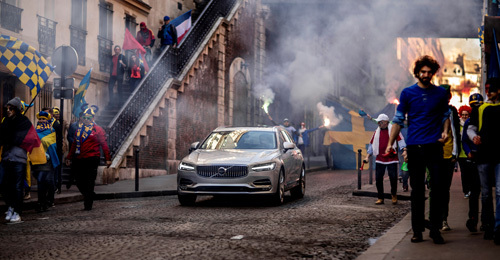 Part of Volvo Cars’ new V90 campaign features footballing legend Zlatan Ibrahimović. 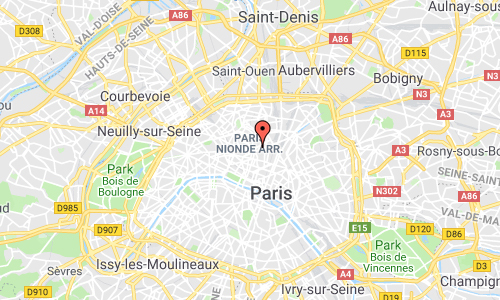 2016 – Volvo V90 at Rue Pierre-Semard and Rue Rochambeau in Paris, France. 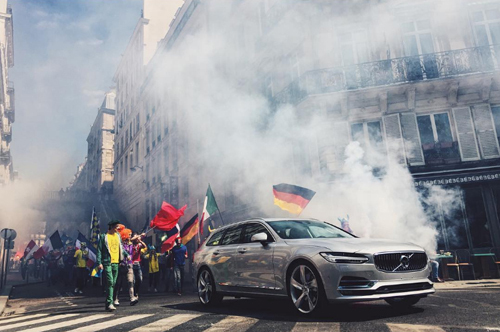 Part of Volvo Cars’ new V90 campaign features football legend Zlatan Ibrahimović. 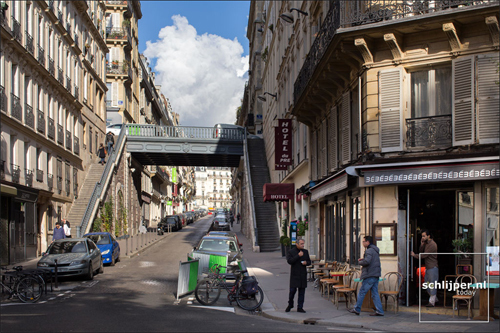 Rue Pierre-Semard is a street in 9e arrondissement in Paris, France. 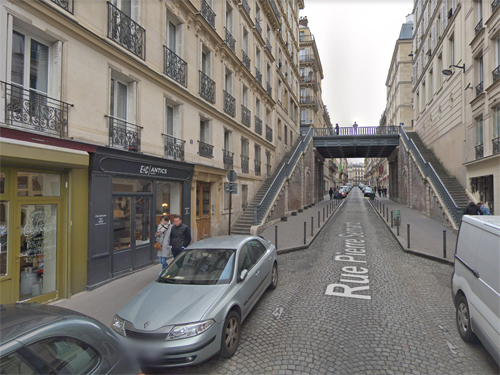 This street has a bridge crossing it with Rue de Bellefond. Rue Pierre-Semard leads to Rue Rochambeau with the Square Montholon. 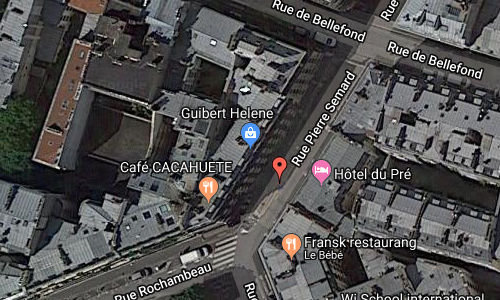 The street pays tribute to Pierre Semard (1887-1942), trade unionist, general secretary of the Federation of Railway Workers and leader of the PCF (Parti Communiste Français or the French Communist Party). 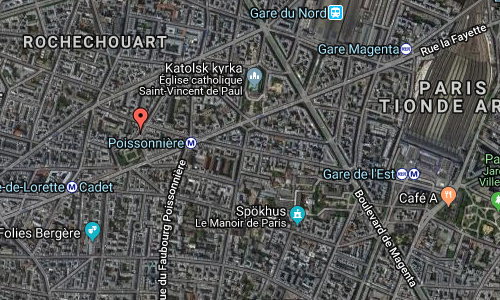 Construction of the Square Montholon began in 1862, costing 160,000 francs, at the time of building of Rue Lafayette, and opened in 1863. 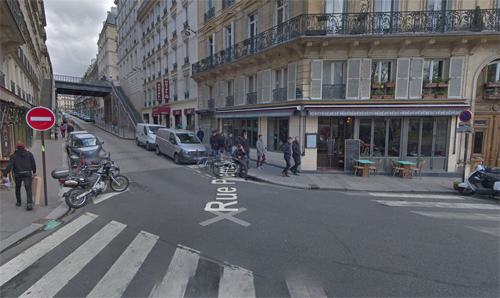 The square comprises two terraces and is encircled by a Louis-Philippe-style fence. The central grass garden is home to two hundred-year-old 30 m tall oriental plane trees as well a marble statuary group by Julien Lorieux dedicated to the young working women of the quarter. A fountain with a bronze sculpture, “The Bear, the Eagle and the Vulture”, was removed and melted down in 1941 or 1942, during the Nazi occupation of Paris. More information at fr.wikipedia.org, www.mozasaguirre.com and en.parisinfo.com.